You organise with your ears, not your mouth. Time for agitation in our schools? You organise with your ears, not your mouth. In this blog I will focus on listening and the lessons we might draw from community organising traditions. 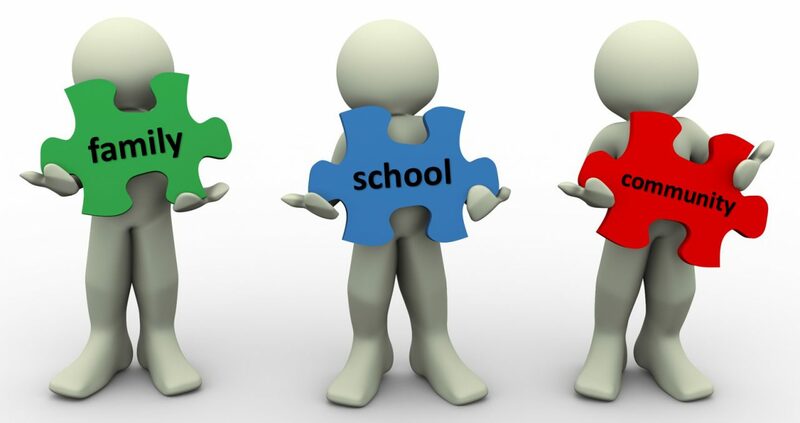 As suggested in the first two blogs in this series, I, for one, would welcome challenge, agitation and, indeed, a more antagonistic approach to home-school-community partnership debate, and – I think, necessarily – system change. I believe that the school must represent present life-life as real and vital to the child as that which he carries on in the home, in the neighbourhood, or on the playground. Alinsky was wholly appreciative of local traditions and values. He immersed himself in them when he organised. He thought the only way to communicate with people was within their experience and you could not do that if you did not learn how they thought or talked, or the stories they told. Alinsky’s tools were four: empathic listening; challenging (or agitating); thinking through; and training. As a school leader I conducted a number of focus group interviews in the school of which I was head teacher; groups of teachers, and groups of parents/carers. Listening to the focus group audio recordings, listening again, re-focussing and drawing common themes, highlighted for me the power and purpose of focus group use in social research and in the workplace. Data emerged directly from participant interaction. Not for discussion here but, out of interest, the key themes emerging in groups of both teachers and parents/carers were approachability, relationship, communication, responsibility, community and expertise. Participants were empowered by the process, with participants bold, clear and articulate in the way they expressed their views, while being stimulated by the comments and thoughts of others in the group. More so, where the parent groups is concerned. There was disparity in scope of discussion between teachers and parents, in their respective groups. Yes, I did remain silent throughout, thus encouraging participants to follow their own agenda, but the fact is I was present. How did my very presence influence respective groups? I am inclined to suggest that teachers felt more hidebound by perceived regime expectations, if encouraged to open up. On the contrary, the opportunity this represented for parents unleashed something that was revealingly informative for me both in my professional capacity as head teacher of the school and as researcher. My presence left this particular group decidedly unabashed. I am part of a cog here, I’ve got them interested in me and I’ve got me interested in me. You’ve got a functional machine rather than a dysfunctional machine because we are all in it together. The difficulty for schools is that we carry power whether we like it or not, or believe it or not. Alinsky thought that the best ally of the powerless was the hypocrisy and arrogance of the powerful. Equally, that “apathy” was often a misnomer. That “apathy” is the label put on people who won’t come to your meeting. Rather, people didn’t want to bang their heads against a brick wall. So we return to the “hard to reach” misnomer. Or is it no misnomer when applied to schools? What are we doing to make our schools places that all parents/carers and extended community members feel comfortable engaging with. Or at the very least, less vulnerable. As previously said (earlier blog posts) I cannot recommend strongly enough Warren and Mapp’s A Match on Dry Grass: Community Organising as a Catalyst for School Reform. Warren and Mapp claim that ‘organising connects school reform to social justice’. They say that social justice is not primarily an outcome but a process where people who have been marginalised build the capacity to exert a measure of control over the institutions that shape their lives. Interestingly, they highlight the pitfalls of “scaling up” universal programmes. Programmes that are either adopted or imposed, commonly ignoring the important role parents and young people themselves can play in school change initiatives. Again, we return to the idea of listening at the ground level, encouraging a ‘bottom-up thrust’. Critically, Smyth et al. talk of seeing school through an anthropological lens of how people make sense of their school lives. Colleagues and I used Dr Russ Quaglia’s work in helping us gather community member voice in an attempt to gain insight into member perceptions. Termly Quaglia Voice surveys allowed us to ‘triangulate’ pupil, parent/carer and staff views. The Quaglia Aspirations Framework is grounded in 3 Guiding Principles: Self-Worth, Engagement, and Purpose. They divide further into 8 Conditions: Belonging, Heroes, Sense of Accomplishment; Fun and Excitement, Curiosity and Creativity, Spirit of Adventure; Leadership and Responsibility, Confidence to Take Action. We held a Vision & Values Event in school. An open invite was extended to all school community members. We all gathered in the school hall – pupils, parents, grand-parents, carers and staff – to discuss our vision for the future of school and what it is we value as a school community. Two hours later, having worked in several mixed groups, we gathered together the large sheets of paper that respective groups had recorded their thoughts on. Everybody had been encouraged to graphically represent (with annotations) their thoughts. The sheets were shared with Tracey Ezard in Australia and a conversation had (via Skype) on their content and the messages they convey. Tracey produced the graphical representation shown here. What is particularly interesting about the key themes that emerged from the Vision and Values exercise held in school is that so many of the key strands of the Quaglia Aspirations Profile are brought to the fore. Interesting then, if we apply this to school direction and strategy. No easily defined ‘success criteria’ here. Should there be? How do you listen to your school community? What do you count as success in home-school-community partnership work? Alinsky, S. (1972) Rules for radicals, New York: Vintage Press. Dewey, J (1897) ‘My pedagogic creed’, The School Journal, Volume LIV, Number 3 (January 16, 1897), pages 77-80. Schutz, A. and Milller, M. (2015) People Power: The Community Organising Tradition of Saul Alinsky, Nashville: Vanderbilt. Warren, M. R. and Mapp, K. L. (2011) A Match on Dry Grass: Community Organising as a Catalyst for School Reform, Oxford: OUP. I have enjoyed reading and thinking on this blog, Simon. In particular the link toRussel Quaglia’s work. In terms of measuring success in home-school-community partnership, it would be interesting to see the difference in perception of this between ‘home’ and ‘school’. As a teacher, the first thing to pop into my mind is that a successful home-school-community partnership is one where parents get involved and school listens to their views. This, however, is probably a fairly manufactured view we as teachers are taught to have – fitting in line with the ofsted framework etc. etc. Gathering parent view using surveys is well looked upon, but I wonder how much of this is just tick-boxing, even if we are unaware it is tick boxing? In school, we talk about surface learning and deep learning, referring to the solo taxonomy and so forth. I wonder whether there are different levels of ‘home-school-community engagement’ and whether they would fit into a success criteria such as solo? E.g. Uni-structural – I know what parent view is. Through to extended abstract – parents/community lead initiatives with little guidance from school ~ ownership is equal? Thank you, again, Sam, for your feedback and thoughts. I agree with you on the dangers of indulging in the box-ticking survey game if it merely amounts to a data collection exercise. Worse, if we are focusing on increasing percentages against non-changing, stale questions such as those set on Ofsted’s own Parent View. For me, the strength in the Quaglia suite of surveys is that they address identified areas that have real value (e.g. ‘Belonging’ and ‘Self-worth’), for one, but also that they offer triangulation, through well crafted student, teacher and parent surveys. The depth in the surveys allows for identification of very specific focus areas. Ones that a school can work on and, ultimately, measure further down the line through taking of another survey. As with all data collection. If the exercise is valid and reliable then we can use the information to determine strategy and look to improve. Interesting what you say about about conceptual models such as SOLO and how they might be applied to home-school partnership. There is a complexity surrounding all of this that is not given enough attention. Are we looking to ‘involve’ parents (parental involvement) or are we looking to engage parents in their children’s learning (parental engagement)? Goodall and Montgomery (2013) make use of the Macmillan Dictionary [Involvement may be defined as “the act of taking part in an activity or event, or situation” (Macmillan Dictionary 2009-2012b) while engagement may be defined as “the feeling of being involved in a particular activity” or “a formal arrangement to meet someone or to do something, especially as part of your public duties” (Macmillan Dictionary 2009-2012a] to distinguish between the two terms. Taking the two definitions together, they say, ‘“engagement” would seem to encompass more than just activity – there is some feeling of ownership of that activity which is greater than is present with simple involvement. This means that parental engagement will involve a greater commitment, a greater ownership of action, than will parental involvement with schools’ (p. 2). Based on the literature of the field, Goodall and Montgomery trace a continuum between parental involvement with schools, and parental engagement with children’s learning. A continuum because the process it represents is not a simple progression, recognising that schools may find themselves at different points of the continuum – ‘an attempt to describe a messy web of interactions, so that schools in particular can gauge their own work, and discern where they can move forward to the benefit of their students’ (p. 2).In tracing a continuum between parental involvement with schools, and parental involvement with children’s learning, Goodall and Montgomery, acknowledge that the agency for parental engagement must shift from being with the school, as much of the literature would seem to suggest, to being negotiated between schools and parents. This requires a change of mindset on the part of many staff, ‘a move from seeing “teaching” as the sole preserve of school staff’. I think there is a danger in attempting to apply conceptual models to such a complex dynamic. Are we looking to address the power imbalance and, as you say, have parents/community lead on community initiatives? Are we looking to introduce contextually significant cultural and social strands to school activity? Are we looking to encourage and deepen parental engagement in children’s learning and have all involved? I guess, as with all things, we first need to be secure in our knowledge of current reality through well thought out and targeted survey questions, and then a vision of exactly what it is we (school community) are aiming at, and a good idea on how we imagine getting there. Goodall, J. and Montgomery, C. (2013) “Parental involvement to parental engagement: a continuum” Educational Review, pp 1-12. Thank you so much, Mary, for taking the time to read, reflect on and comment on this. Thank you for the link to the CPAL Project. Interesting that the study was designed within a children’s rights perspective. I am following up some of the references cited under the Centre for Children’s Rights Publications tab on the website. Those that designed the study would no doubt have been clear about aims and purpose. I note that both teachers and parents perceptions of pupils increasing participation in assessment were collated. I am a little concerned that the project summary refers to, for example, ‘encouraging more conversations between teachers and pupils (and parents) about what helps and hinders learning’, with ‘parents’ in parentheses. Parentheses are generally used to separate off information that isn’t essential to the meaning of the rest of the sentence. Perhaps a little harsh of me to simply home in on the posting of a few words summarising a very important study (very interesting and informative powerpoint on website) on a website but I do believe that parent/carer engagement must be factored in as a more general rule when we are talking about children’s learning; with parents not separated out. 1. How many times do we, as educators say, “Parents think..” or “Parents want…” but yet we don’t actually ask them. These generalizations come from single conversations at the ballgame or in the hallway, but we don’t take the time to seek input from underrepresented parent groups. 2. Listening – meaning face to face listening – is an under-emphasized skill in our classrooms. In what ways can we teach students to be better listeners so when they are in the workplace they can hear their community, client, audience.